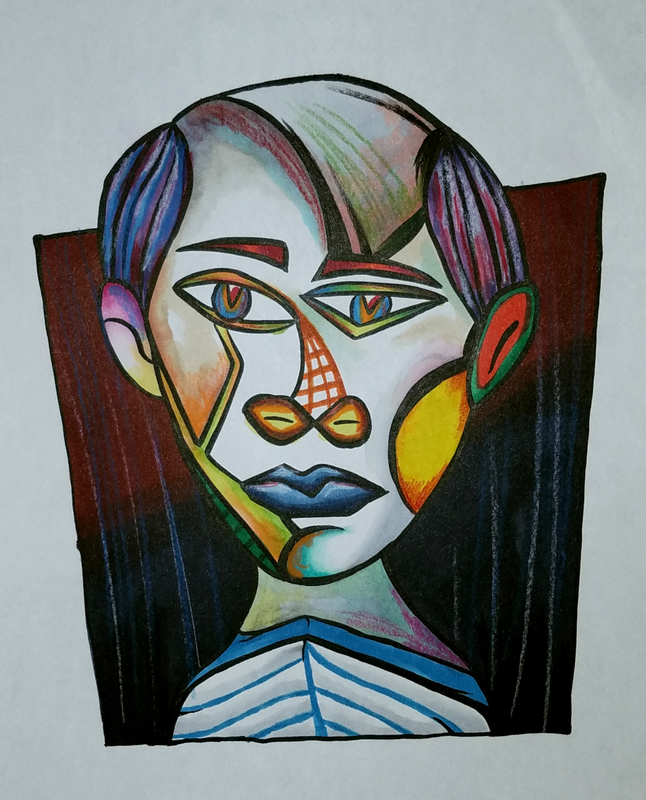 Using the works of Pablo Picasso as inspiration students will create portraits of the artist in that style. 1. 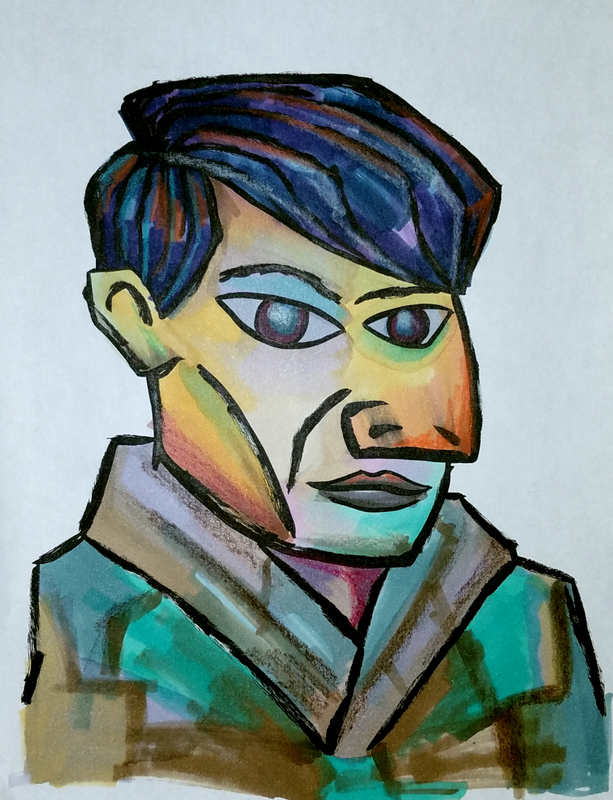 SWBAT create portraits of the artist Pablo Picasso in the same style that he used for his. 1. Show students examples of portraits by Pablo Picasso and have a discussion about the artist and cubism. 2. Using google images or books find a photo of Picasso to use as reference. 3. In pencil sketch out the reference photo that was chosen in the same style that Picasso did. When it comes time to color it, don't worry about perfection. Use multiple colors from different mediums to achieve the look you are going for.